The trailer is so bonkers, I’m not sure if there are any other words necessary. 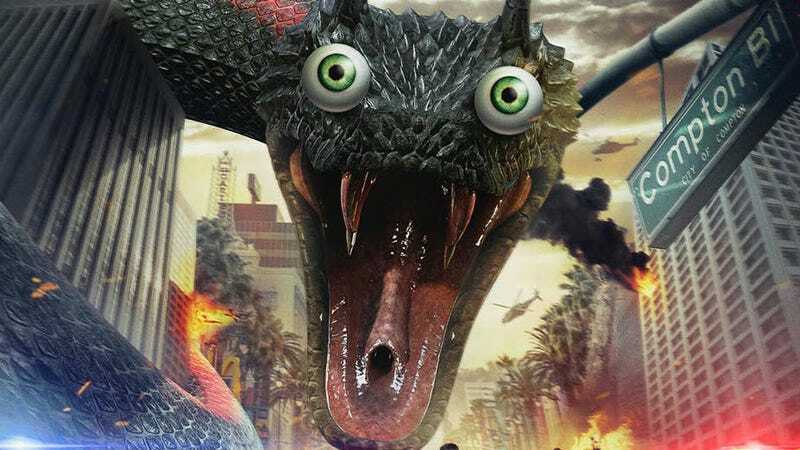 Here’s the trailer to Snake Outta Compton. If you need a minute, I get it. I had to take a walk outside to reconsider my life choices after that three minutes. In the meantime, here’s the poster, which answers many of your questions: Yes, this was on purpose. Yes, it’s a spoof. Yes, this is real life. But no, you will never forget the sight of those big bulging eyes. Directed by Hank Braxtan, Snake Outta Compton will be up for sale at the American Film Market next month. If it’s picked up, it would be released next summer. That means the Jurassic World dinosaurs, Han Solo, and the Avengers better watch their backs. They’re bound to get bit!